You are at:Home»ETF Strategist Channel»Does Economic Growth Drive Earnings? Does Economic Growth Drive Earnings? Many economists expect a slowdown in U.S. growth during 2019. The FOMC projected 2.3% growth for the year back in December, which is a reduction from the 3% growth observed in 2018. Meanwhile, Wall Street analysts have lowered their earnings estimates. 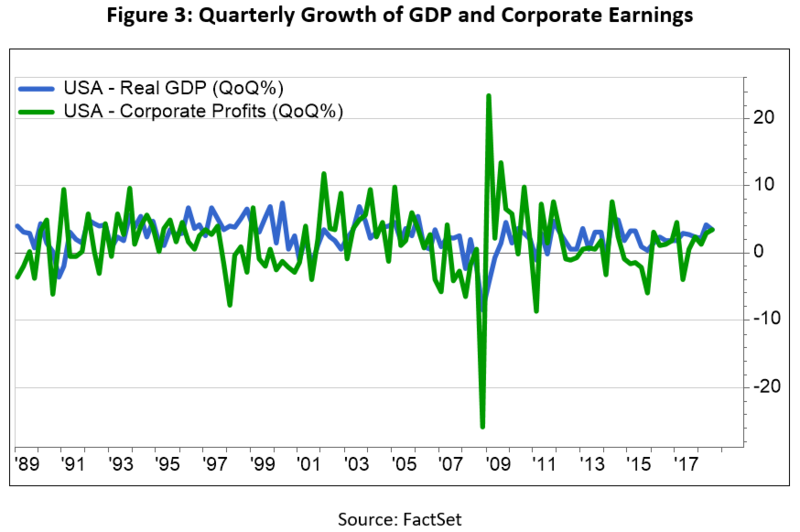 According to FactSet, analysts are projecting earnings growth to be 4.5% this year, much lower than the 21.7% growth in Q3 2018. Intuitively, earnings should be reflective of economic growth since the United States is a consumer-driven economy. Over the long haul, there is a clear positive correlation between the two metrics. Taking the average of the trailing 80 periods (20 years) of quarterly data, since 2009, it’s expected that every 1% increase in GDP will add 1.65% to aggregate corporate earnings (see Figure 1). 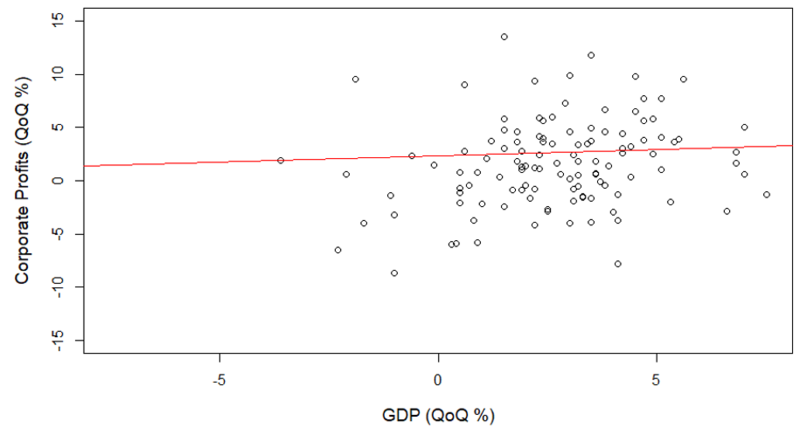 But the relationship between earnings and GDP might not be so straightforward. In fact, GDP growth has been a poor indicator of earnings growth on a period by period basis. Going back to 1989 and ignoring two outliers during the financial crisis, quarterly corporate earnings are essentially independent of quarterly economic growth (correlation of just 0.26, see Figure 2). There are a couple of reasons to explain why this meaningful long-term trend has poor short-term predictive value, namely the increase in overseas sales and the rise in corporate profits relative to GDP. Currently, about 30% of the sales of S&P 500 companies come from overseas. This quantity is obviously tremendously influential to a domestic company’s bottom line, but it doesn’t factor into GDP calculations. 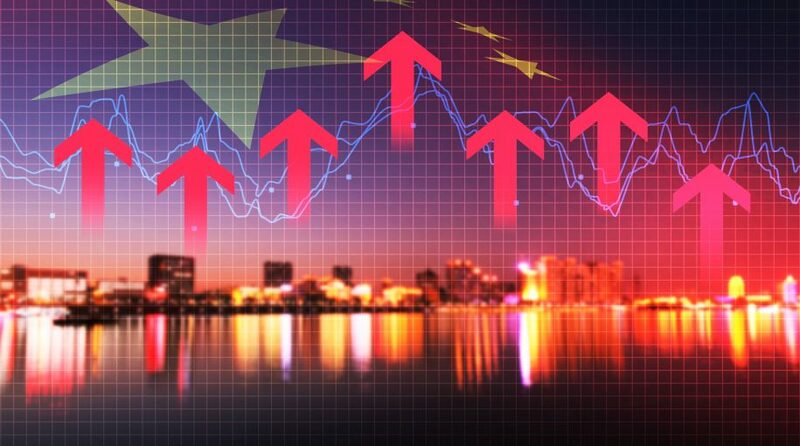 Higher GDP growth rates, especially in emerging markets countries, could disproportionately aid companies with extensive international exposure. Another point to keep in mind is the high growth of corporate earnings in relation to GDP. Not only has earnings growth drastically outpaced economic growth on an indexed basis, it has also been much more volatile (see Figure 3). 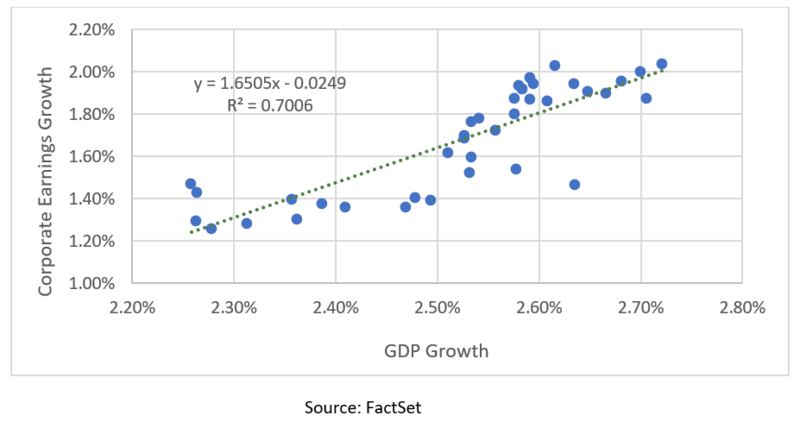 Put another way, the scale of GDP makes it less sensitive than earnings to short-term factors like interest rates, currency fluctuations, tax policies, and demand/supply seasonality. For example, the December 2017 signing of the Tax Cuts and Jobs Act slashed the corporate tax rate from 35% to 21% and drastically affected corporate profitability, yet only slightly improved GDP growth.